With 24 of the 25 of these limited edition pieces already spoken for the reviews on this special design are rolling in. The minute I saw this polo I knew I had to have it. 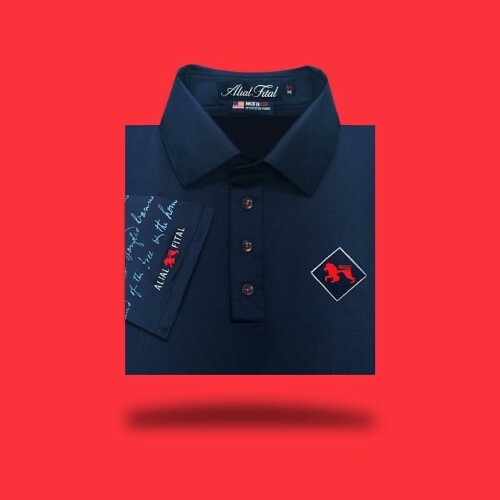 This polo screams pride for the red white and blue. I cannot wait to see the look on other people’s face when they see me in this polo. Style, comfort, quality American made product. Scott S.
Unique, limited limited edition, quality polo that Alial Fital is well known for doesn’t do this wonderful piece justice. GREAT patriotic color scheme with a brilliant concept as American as Apple Pie that looks even better in person. Well done, Gibran. Jeff S.